Jason Connor is a Professor of Clinical and Health Psychology in the Discipline of Psychiatry and Director of the Centre for Youth Substance Abuse Research (2008 - 2014, 2017+) at The University of Queensland. Professor Connor is a clinical psychologist by training and a Fellow of the Australian Psychological Society (APS). He has specialist membership in the APS Health and Clinical Colleges. Jason commenced his academic career after being awarded a National Health and Medical Research Council (NH&MRC) doctoral scholarship (PhD, 2002) for research into substance use disorders. Since moving from full-time clinical practice to academia, he has successfully combined teaching responsibilities with research publishing over 175 peer reviewed papers and receiving $10 million in research funding as Chief Investigator. He currently leads or co-leads $4.3 million in external research funding. Professor Connor's main research focus is substance use disorders. Research areas include substance use assessment and treatment, genetic markers of alcohol and nicotine dependence, measurement of alcohol craving, novel psychological models of problem drinking and the prevention of youth substance abuse. He is a member of the Federal Government’s Alcohol & Drug Centres of Excellence Strategic Reference Group, which is tasked with guiding the evidenced based policy for substance use in Australia. 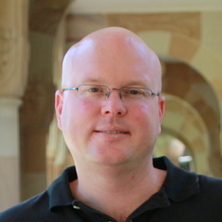 Professor Connor has received awards for his research (NH&MRC Career Development Fellow; Australian Psychological Society Early Career Research Award), teaching (National Carrick Institute Citation for Excellence in Teaching and Learning) and service to the profession of psychology (Australian Psychological Society Health College Award of Distinction). In addition to his academic roles, he has an appointment with Queensland Health and continues to offer clinical services. Connor, J. P. Hall, W.D. (2015). Alcohol burden in low-income and middle-income countries LANCET, 386(10007), 1922-4. Provision of Strategies to Support Drug and Alcohol Online Activities. Beyond CBT: What is the future of alcohol use disorder treatment and prevention? Gullo, Matthew J., Coates, Jason M, Patton, Kiri and Connor, Jason P. (2016). Beyond CBT: What is the future of alcohol use disorder treatment and prevention?. In Ross G. Menzies, Michael Kyrios and Nikolaos Kazantzis (Ed. ), Innovations and future directions in the behavioural and cognitive therapies (pp. 157-162) Samford Valley, Australia: Australian Academic Press. Saunders, John B., Connor, Jason P. and Feeney, Gerald F. X. (2016). Gamma-hydroxybutyric acid (GHB): a discussion of pharmacokinetic and pharmacodynamic effects of GHB including its analogues. In Kim Wolff, Jason White and Steven Karch (Ed. ), Handbook of Drug and Alcohol Studies (pp. 271-282) Thousand Oaks, California: Sage Publications. Connor, Jason P., Feeney, Gerald F. X., Kelly, Adrian B. and Saunders, John B. (2016). Polysubstance abuse. In Kim Wolff, Jason White and Steven Karch (Ed. ), The SAGE handbook of drug and alcohol studies: biological approaches (pp. 283-305) Thousand Oaks, California: Sage Publications. Steindl, Stan and Connor, Jason (2010). Facilitating behavioural change. In Michele Groves and Jennifer Fitzgerald (Ed. ), Communication skills in medicine: Promoting patient-centred care (pp. 33-47) Melbourne, Australia: IP Communications. Getting started: How can I help you today? Fitzgerald, J., Connor, J. and Mitchell, C. (2010). Getting started: How can I help you today?. In Groves, M. and Fitzgerald, J. (Ed. ), Communication skills in medicine: Promoting patient-centred care (pp. 7-19) Melbourne, Australia: IP Communications. Connor, J. P., Saunders, J. B. and Feeney, G. F. X. (2006). Quality of Life in Substance Use Disorders. In H. Katschnig, H. Freeman and N. Sartorius (Ed. ), Quality of Life in Mental Disorders 2 ed. (pp. 199-208) UK: John Wiley and Sons Ltd.
Parent and peer behavior: fueling adolescent binge drinking intentions? Connor, Jason, Haber, Paul and Hall, Wayne (2015) Alcohol use disorders. Lancet, 387 10022: 944-944. Impulsivity-related cognition in alcohol dependence: is it moderated by DRD2/ANKK1 gene status and executive dysfunction? Connor, Jason P., Grier, Maree, Feeney, Gerald F. X. and Young, Ross McD. (2007) The validity of the Brief Michigan Alcohol Screening Test (bMAST) as a problem drinking severity measure. Journal of Studies on Alcohol and Drugs, 68 5: 771-779. Is acamprosate use in alcohol dependence treatment reflected in improved subjective health status outcomes beyond cognitive behavioural therapy alone? Connor, Jason P., Gudgeon, Elea T., Young, Ross M. and Saunders, John B. (2004) The role of drinking restraint in alcohol dependence: validation of the temptation and restraint inventory in an alcohol dependent sample. Journal of Studies On Alcohol, 65 2: 250-254. Cognitive behavioural therapy combined with the relapse-prevention medication acamprosate: are short-term treatment outcomes for alcohol dependence improved? Drinking restraint versus alcohol expectancies: Which is the better indicator of alcohol problems? Connor, J. P., Young, R.M., Williams, R. J. and Ricciardelli, L. A. (2000) Drinking restraint versus alcohol expectancies: Which is the better indicator of alcohol problems?. Journal of Studies on Alcohol, 61 2: 352-359. Connor, Jason, Coates, Jason, Gullo, Matthew, Young, Ross and Feeney, Gerald (2018). A randomised trial of personalised Cognitive Behaviour Therapy for alcohol use disorder in a public health clinic. In: 2018 APS Congress Psychology advancing into a new age, Sydney, Australia, (25-25). 27-30 September 2018. Young, Freya C., Connor, Jason P., Coates, Jason M., Feeney, Gerald F. X., Young, Ross McD. and Gullo, Matthew J. (2017). Social cognitive predictors of treatment outcome: A prospective study on patients with alcohol use disorder. In: APSAD 2017 Conference, Melbourne, Australia, (72-73). 12–15 November 2017. ONLINE TREATMENT FOR DEPRESSED DRINKERS: IS A THERAPIST NEEDED? Kavanagh, D. J., Connolly, J., Klein, B., Proudfoot, J., Kay-Lambkin, F., Connor, J. and Young, R. McD (2012). ONLINE TREATMENT FOR DEPRESSED DRINKERS: IS A THERAPIST NEEDED?. In: 16th World Congress of the International-Society-for-Biomedical-Research-on-Alcoholism (ISBRA), Sapporo Japan, (79A-79A). Sep 09-12, 2012. 'On track': could smart phones help us track and moderate out alcohol use? White, A., Fitz-Walter, Z., Hides, L., Kavanagh, D., Koh, D., Johnson, D., Tjondronegoro, D. and Connor, J. P. (2012). 'On track': could smart phones help us track and moderate out alcohol use?. In: Walk on the Wildside (WOW VI), Brisbane, Australia, (). 18 May 2012. 'The App evolution' - can smartphone applications help young people track and moderate alcohol use and potential harms? White, Angela, Connor, Jason, Quek, Lake-Hui, Kavanagh, David, Trondronegoro, Dian, Drennan, Judy, Johnson, Daniel and Fitz-Walter, Zachary (2012). 'The App evolution' - can smartphone applications help young people track and moderate alcohol use and potential harms?. In: APS ePsychology Conference, Brisbane, Australia, (). 10-12 August 2012. Thorberg, F. A., Young, R. M., Sullivan, K. A., Lyvers, M., Connor, J. P., Landheim, A. S., Tyssen, R. and Feeney, G. F. X. (2012). Alexithymia in alcoholics is mediated by alcohol expectancy, but only for males. In: 3rd Asian Conference on the Social Sciences, Osaka, Japan, (). 3-6 May 2012. Quek, L. H., White, A., Low, C., Brown, J., Dalton, N., Dow, D. and Connor, J. P. (2012). Good choices, great future: an applied theatre prevention program to reduce alcohol-related risky behaviours during Schoolies. In: Walk on the Wildside (WOW VI), Brisbane, Australia, (). 18 May 2012. White, A., Fitz-Walter, Z., Hides, L., Kavanagh, D. J., Johnson, D., Tjondronegoro, D. and Connor, J. P. (2011). 'On Track' - A mobile phone application and program for tracking and moderating alcohol use. In: 5th International Society for Research on Internet Interventions, Sydney, Australia, (). 6-8 April 2011. White, A., Fitz-Walter, Z., Hides, L., Kavanagh, D. J., Johnson, D., Tjondronegoro, D. and Connor, J. P. (2011). 'On Track': Exploring mobile phone technology to track and moderate alcohol use. In: 6th International Conference on Drugs and Young People, Melbourne, Australia, (). 2-4 May 2011. White, A., Kay-Lambkin, F., Kavanagh, D., Klein, B., Proudfoot, J., Drennan, J., Connor, J., Baker, A. and Young, R. (2010). Alcohol & other drug websites: An observational and qualitative study. In: WCBCT 2010: World Congress of Behaviour and Cognitive Therapies, Boston, MA, U.S.A., (). 2-5 June, 2010. Thorberg, F.A., Young, R.McD., Sullivan, K.A., Lyvers, M., Hurst, C., Connor, J.P. and Feeney, G.F.X. (2010). Alexithymia in relation to craving in an alcohol-dependent sample. In: ACSS 2010 : East Meets West in Pursuit of a Sustainable World. ACSS 2010: The Asian Conference on the Social Sciences, Osaka, Japan, (). 18-21 June 2010. Connor, J.P. (2010). Chair, Substance Abuse Stream. In: IAAP Division 6 Clinical & Community Psychology & IAAP Division 8 Health Psychology. International Congress of Applied Psychology, Melbourne VIC, Australia, (). 11-16 July 2010. Connor, J., Pegum, E., Feeney, G. and Young, R. (2010). Cognitive functioning following liver transplantation for alcohol-related liver disease: A prospective study. In: Vicky Mrowninski, Michael Kyrios and Nicholas Voudouris, Abstracts of the 27th International Congress of Applied Psychology. 27th International Congress of Applied Psychology (ICAP 2010), Melbourne, Australia, (1090-1091). 11-16 July 2010. Kisely, S., Pais, J., White, A., Connor, J., Quek, L. H., Crilly, J., Lawrence, D. and O'Dwyer, J. (2010). How routine data can measure the effectiveness of policies to reduce binge drinking in young people on the Gold Coast. In: Gold Coast Health and Medical Research Conference: Abstract Book. Gold Coast Health and Medical Research Conference, Gold Coast, QLD, Australia, (153-153). 2-3 December 2010. Statham, D., Connor, J. P. and Kavanagh, D. J. (2010). Measuring alcohol craving: Development of the Alcohol Craving Experience Questionnaire. In: Vicky Mrowninski, Michael Kyrios and Nicholas Voudouris, Abstracts of the 27th International Congress of Applied Psychology. 27th International Congress of Applied Psychology (ICAP2010), Melbourne , Australia, (867-867). 11-16 July 2010. Klein, Britt, Kavanagh, David, White, Angela, Proudfoot, Judy, Kay-Lambkin, Francis, Drennan, Judy, Connor, Jason, Baker, Amanda, Young, Ross and Shandley, Kerrie (2009). Online surveys about alcohol and other drug websites. In: International e-Mental Health Summit, Amsterdam, Netherlands, (). 14-16 October 2009. Connor, J.P. (2008). Future directions in alcohol use disorder treatment research. In: Voudouris, N. and Mrowinski, V., Proceedings of the 43rd Annual APS Conference. 43rd APS Annual Conference, Hobart, Tasmania, (125-129). 23-27 September 2008. Connor, J. P., Feeney, G. and Young, R. M. (2007). Cognitive behavioural therapy with adjunctive pharmacotherapy in the treatment of alcohol use disorders: Summary of Australian Data. In: Kate Moore, Psychology Making An Impact. 42nd Annual Conference The Australian Psychological Society Ltd, Brisbane, (103-107). 25-29 September 2007. Hausdorf, K., Young, R. M., Connor, J. P., Saunders, J. B., Hamilton, G. and Owen, N. (2004). Targeted self help materials for smoking cessation. In: Mary Katsikitis, Australian Journal of Psychology. 39th Conference of The Australian Psychological Society, Sydney, Australia, (190-190). 29 September-3 October 2004. Hausdorf, K., Young, R. McD., Connor, J. P., Saunders, J. B. and Owen, N. G. (2004). Targeted self-help materials for smoking cessation. In: M. Katsikitis, Australian Journal of Psychology. Proceedings of the 39th APS Annual Conference. 39th APS Annual Conference - Psychological Science in Action, Sydney, Australia, (138-142). 29 September-3 October 2004. Connor, J. P., Feeney, G. F. X., Young, R. Mc D., Tucker, J. and McPherson, A. (2003). CBT naltrexone for alcohol dependence: Impact on health-related quality of life. In: APSAD Program Committee, APSAD Conference Proceedings. 2003 APSAD Alcohol and Drugs Conference, Brisbane, (22-22). 16-19 November, 2003. Connor, Jason P., Young, Ross McD., Lawford, Bruce R., Saunders, John B., Ritchie, Terry L. and Noble, Ernest P. (2003). Heavy nicotine and alcohol dependence is associated with the D2 Dopamine Receptor (DRD2) polymorphism. In: Research Society on Alcoholism Program Committee, 26th Annual Meeting of the Research Society on Alcoholism, Fort Lauderdale, Florida, USA, (). 24 June 2003. Connor, J. P., Feeney, G. F. X., Young, R. Mc D., Tucker, J. and McPherson, A. (2003). Polysubtance use and mental health of non-treatment seeking cannabis users. In: Australian Professional Society on Alcohol and Other Drugs Conference Proceedings 2003. 2003 APSAD National Conference, Brisbane, (31-31). 16-19 November, 2003. Ramirez, C. P., Young, R. M. and Connor, J. P. (2003). The combined influence of executive function, drinking behaviour and cigarette use on alcohol-related risk taking. In: William Noble, Australian Journal of Psychology : The Abstracts of the 38th Conference of the Australian Psychological Society. 38th Annual Conference of the Australian Psychological Society, Perth, Western Australia, (205-205). 2-5 October 2003. Atkinson, T.J., Feeney, G. F. X., McPherson, A., Connor, J. P., McAlister, A. R., Young, R. McD. and Garrahy, P. (2003). Tobacco interventions within a hospital setting. In: APSAD Program Committee, APSAD Conference Proceedings. 2003 APSAD Alcohol & Drugs Conference, Brisbane, (12-12). 17 November, 2003. Ricciardelli, L., Connor, J. P., Williams, R. and Young, R. (2002). The Role of Negative Affect in High Risk Drinking among Young Women and Men,. In: Kathleen Moore, STAR 2002 Under the Southern Cross: Proceedings of the 23rd Stress and Anxiety Research Society Conference. STAR 2002 Under the Southern Cross, Stress and Anxiety Research Society Conference, Melbourne, Australia,, (95-104). 14-17 July 2002. Connor, J. P. (2001). The relative contribution of genetic and cognitive factors in alcohol dependent patients. In: Lifestyle, Education and Community Issues. Winter School in the Sun, Brisbane, (33-33). June 2001. Connor, Jason Paul. (2002). The relative contribution of psychological and genetic factors in alcohol problems and dependence PhD Thesis, School of Medicine, The University of Queensland. Very young adolescents and substance use: Community and family vulnerabilities and healthy developmental transitions.